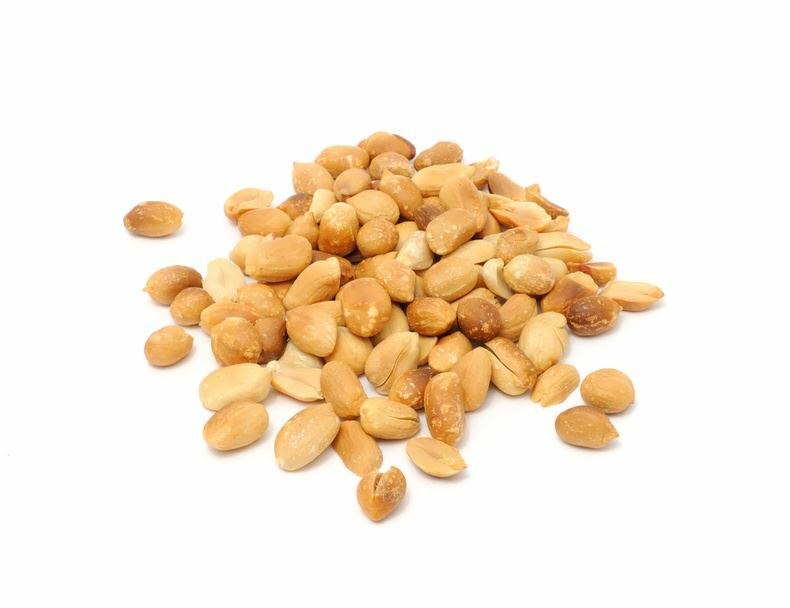 The famous typical peanut taste is created when roasting the shelled peanuts. The roasted peanuts are refined in the traditional way with salt, or oriental-spicy with wasabi, fruity-hot with lime and chilli or with sugar for the sweet version. Roasted and seasoned peanuts are tasty and healthy nibblies. Peanuts with Wasabi coating, "Ravioli - Japanese style"
Peanuts "RED" with red Wasabi coating, "Ravioli"
Peanuts with BBQ coating "Ravioli"
Peanuts USA, roasted, salted, "JUMBO"
Peanuts coated, hot "Fire Mix"